Astronoid blew us all away in 2016 with the incredible sonic power of Air. Now the band is coming at you hard and fast with a self titled follow up, one of the last records to be released on Blood Music and an album that builds on the incredible artistic statement that the group dumped on us all those years ago. 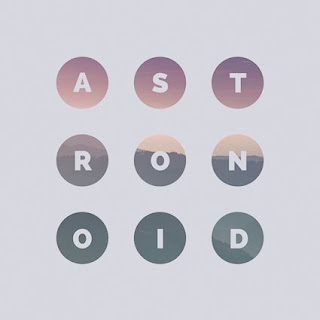 Astronoid is an absolutely stunner of a post metal record, an album that drives forward in a meaningful, powerful and wonderfully dark way. This is perhaps the future of metal in all of its deeply emotive and hard hitting glory. While one might initially want to compare Astronoid to a group like Alcest, the band pushes some of their pop tendencies even more than their French peers. There are incredibly powerful hooks here and the reverbed out vocals become almost transcendent and overwhelming. There is a truly potent beauty to this record. It has an intensity that is wholly its own and doesn't rely on crushing heaviness but rather the immersive nature of the auditory experience. This is the sort of record you get completely lost in and which proves there is a sort of ethereal magic to post metal that you can't help but to admire. Driving forward with a sense of authority and an endlessly exciting series of ideas, Astronoid is an addictive listen, it encourages repeat spins as you delve ever deeper into the incredible beauty of what they have uncovered here. With soaring majesty and delicate glory the band has only further evolved their songwriting, unveiled bold new sonic statements and generally enhanced our ability to fall in love with the unrelenting majesty within. So yes, this isn't necessarily a 'metal' record but it's goddamn good, give it a shot.